I was born in Vienna, my mother is Austrian and my father is Italian and I lived in Sardinia from the age of 6 months until I came to the UK in 2001. 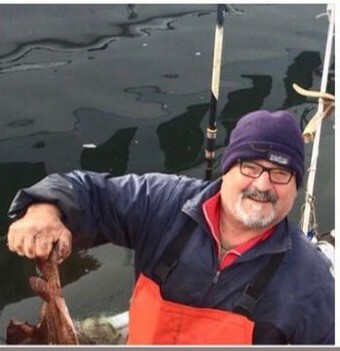 I have always been involved with food since I can remember; my father is a fisherman and we used to cure meat too. My brother is a chef and spends his time between restaurants in Switzerland and Sardinia and he also makes cheese. 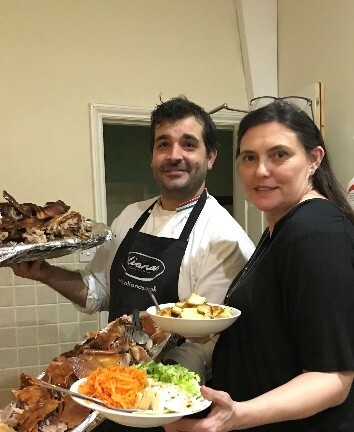 Actually, cheese making became a bit of a competition between me and my brother – who could make the best cheese and my wife, Sonia and I have memories of driving around Sardinia looking for ewe’s milk for us both to make cheese with! 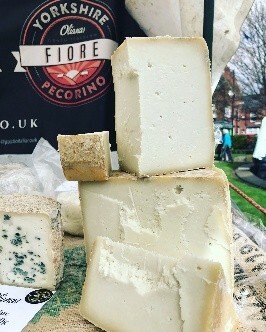 When I first came to the UK, I could not find Pecorino Fresco, a young, mild ewe’s milk cheese from Sardinia, so about six years ago, I decided to develop and make my own. On my visits back home to Sardinia, I would work with my brother, seeing who could make the best cheese. If I was not making cheese, maybe I would run a restaurant or maybe still run a dining club with my wife Sonia, but cheese making has taken over my life! The first cheese I perfected was my Yorkshire Pecorino Fresco because you can’t get fresh, 15 – 30 days old Pecorino in the UK. I make it using ewe’s milk I collect from a farm near Harrogate. 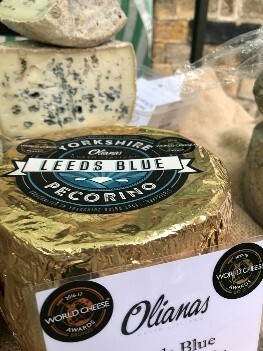 I am very proud that my Yorkshire Pecorino won a Supergold, top 66 cheese in the world at the 2017 World Cheese Awards. Yorm a Gorgonzola make, with sheep’s milk. The very first show I entered this into was Nantwich 2015 and it won a Gold and also a Silver & Gold at the 2017 World Cheese Awards. I also make a Yorkshire Fiore Pecorino which is a 2 months mature, a semi hard Pecorino, Yorkshire Mozzarella and Yorkshire Ricotta all made from ewe’s milk. My dairy is at home, in an extension. 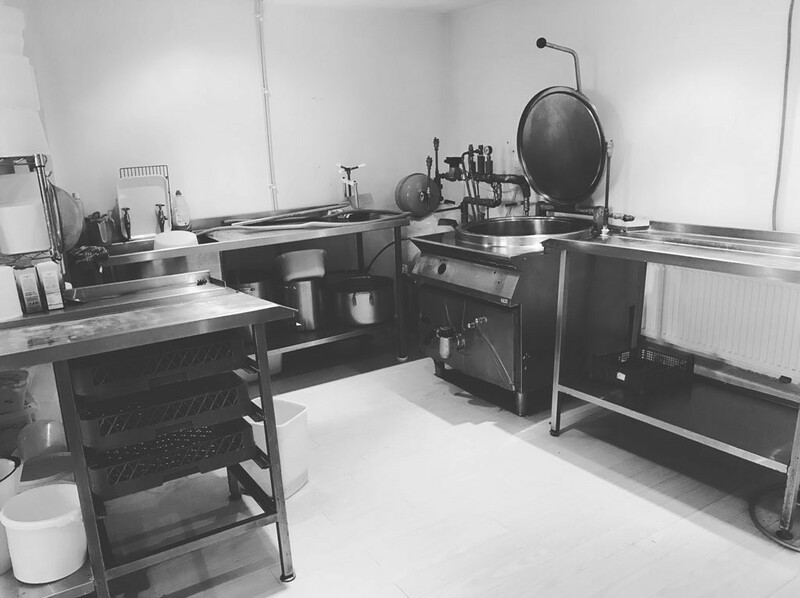 I currently batch pasteurise in a 150 litre vat and at the end of April – this is very exciting – I will have a 350 litre vat, giving me a 500 litre capacity per week. I just can’t make it fast enough. If I could change anything, I would love to have a bigger space and larger equipment and we are on the lookout for a suitable small industrial unit in Leeds. It is taking time to find the right space in the right location, but it will come. Until that happens, my next step is to buy a container unit, kit it out and make a dairy in that. Mario’s dairy – I love it! 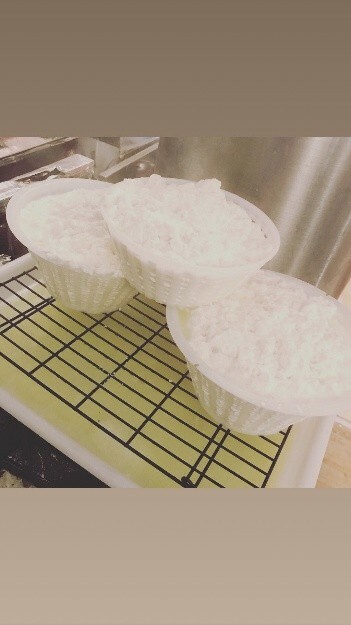 I was amongst the first urban cheese makers, but more people are coming into cheese making. There seems to be more regulation, lots of paperwork, it takes more than one day a week to do my paperwork. My advice to any newcomer, setting up a cheese making business is to get your EHO on board straight away, inform your local authority and get them involved in what is required of you. Also, make sure that you source your milk from a good quality farmer; my milk comes straight from the farm and is excellent quality. Our first buyer was George & Joseph in Leeds who have been hugely supportive and really believed in me, as has Andy at the Settle Courtyard Dairy, who sells it into several Michelin restaurants, including Tommy Banks. It can also be found in Fodder, in Harrogate, where it is their best selling blue cheese. I like to listen to reggae, it reminds me of sunshine, and when I was young, I used to listen to lots of reggae and even my children like it. I also like listening to Eddie Grant and Michael Jackson in my dairy. Thank you, from me and Mario!